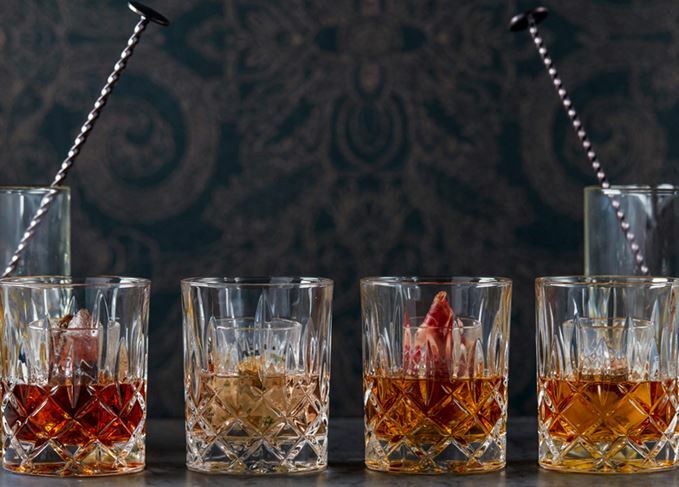 A London members’ bar has used Scotch whisky in its new ‘multi-sensory food cocktail’ range – pairing high-end spirits and foods in original ways. A refreshing scented towel paired to your whisky of choice is par the course at M Den. The M Den, a members-only bar within the recently opened M Victoria Street luxury venue in London, drew up the new menu with the help of Diageo World Class judges Daniel Dove and Andrea Montague, and M executive chef Michael Reid. Each ‘sensory experience’ begins with the presentation of a scented hand towel infused with the fruit characteristic of each of the ‘M Den Duets’, before the food and spirits are served in a crystal ‘double glass’ tumbler. The range includes Mortlach Rare Breed (£29): a towel scented with dark cacao, nutmeg, fennel and paprika, followed by Mortlach Rare Old whisky paired with rare breed Spanish Galician Secretto No 7 dry cured beef, aged for eight weeks and wafer-sliced to order. Johnnie Walker Blue Cheese Ice Cream (£39) starts with a towel scented with raisins, cassia bark, walnut and apple, followed by Johnnie Walker Blue Label and British Stichleton cheese, whipped with Jersey cream and served with a dehydrated bacon crumb. The duets also include Zacapa XO rum paired with South African biltong; and Don Julio 1942 Tequila alongside diver-caught king scallops. 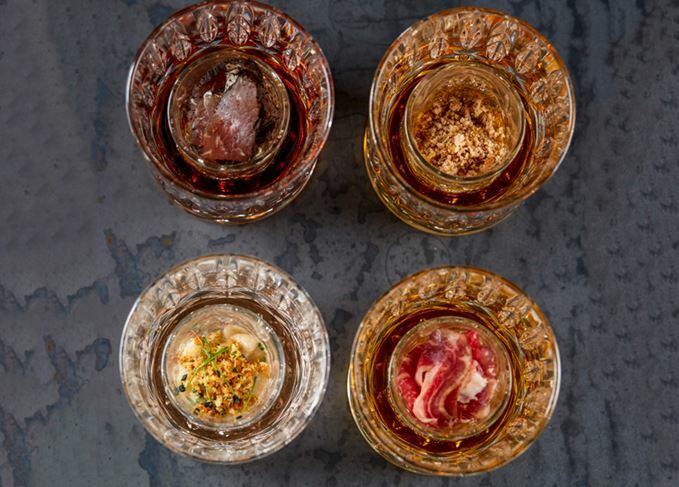 Banish thoughts of dusty bowls of peanuts with our gourmet guide to the finest pairings.